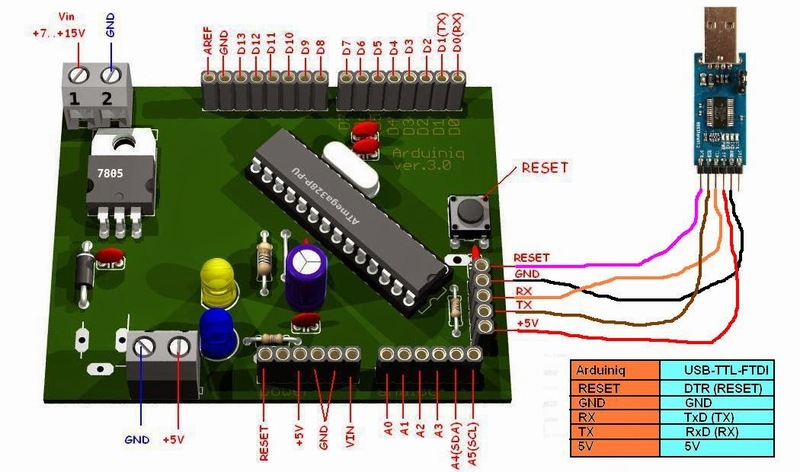 Homemade Arduino (Arduiniq ver.3.0) – "Arduino tehNiq"
If you need to use Arduino shield on your projects must use an Arduino Uno or Arduino Mega boards or made your Arduino style development board. 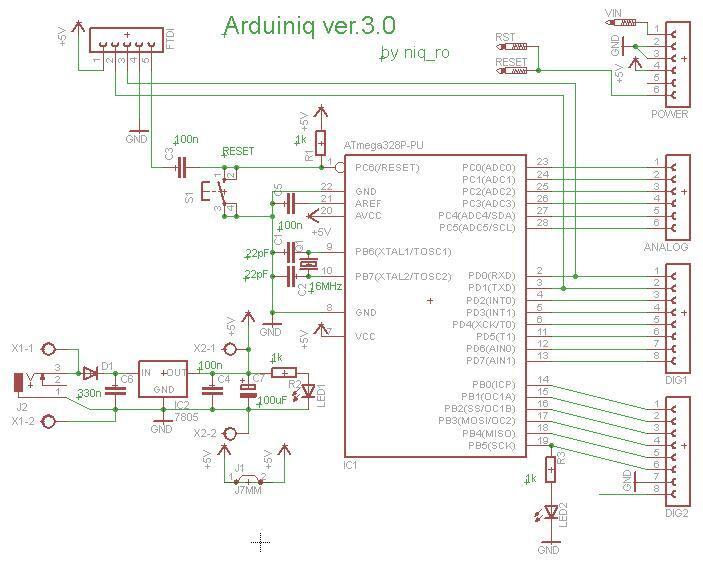 Schematic and board was designed using (Autodesk) Eagle PCB software and you can download: schematic & board files: Arduiniq_v3.sch & Arduiniq_v3.brd ! You can draw manually the wires for board using classic style file or using tonner transfer system file. 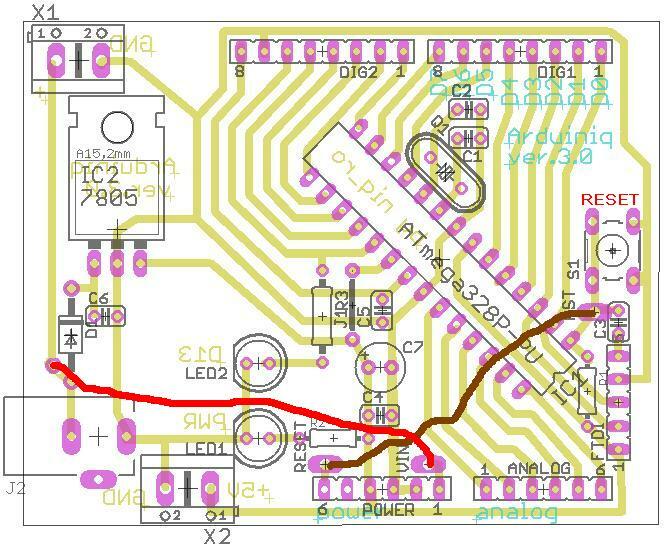 Using 3D addon to (Autodesk) Eagle PCB software we can see how looks our Arduino style board (using also MS Paint to write text and draw indications). 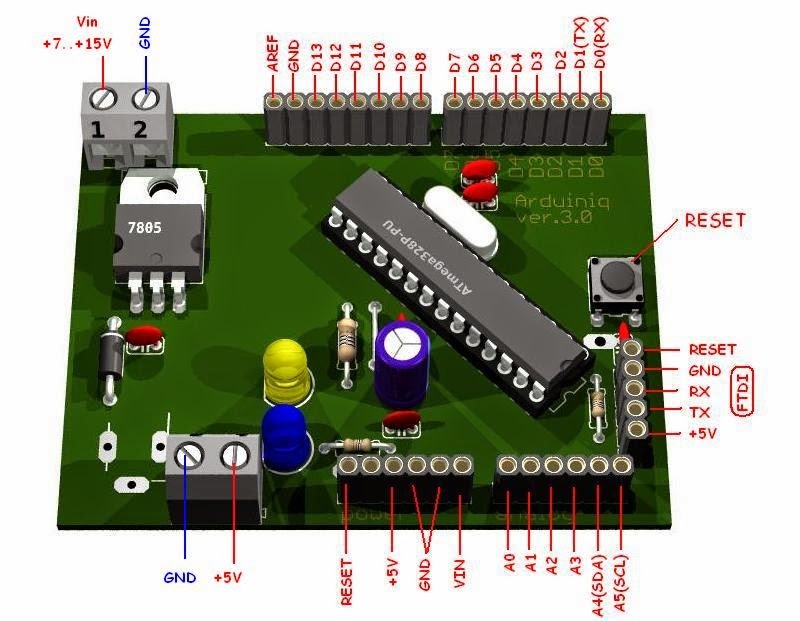 Alse, in this picture is presented mode to wire USB interface with DIY Arduino style board.